A FREE Bible Lesson about whining and complaining based on Exodus 16. Ideas for games, snacks, crafts, a Bible lesson, and more! Before I share the lesson, I also want to let you know about a new 10 week study that I just published called Bold: A 10 Week Study for Families and Churches. This study looks at such topics as bold love, bold service, bold faith, bold speech, bold giving, and bold actions, and it includes opening skits and activities, a Bible lesson, a Bold Biography focusing on a hero of the faith (such as George Mueller, Corrie Ten Boom, William Tyndale, Martin Luther, and Nate Saint) and additional activities. 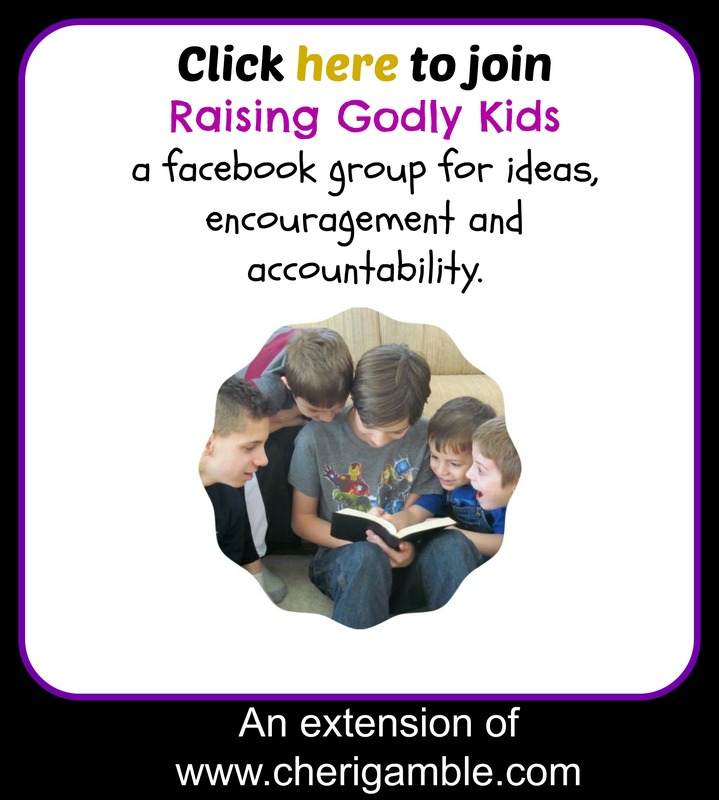 I hope you will check it out and consider using it with your family or church group! You can find out more about it (and view a sample lesson) here. And now, here’s the preschool lesson on complaining. Enjoy! 1. Beforehand, gather a bunch of mini-marshmallows and mason jars. Place the mason jars on the table and have the kids stand on a chair above them. They need to try to drop the marshmallows into the jars. When the kids have had enough of this activity, say: You made those marshmallows RAIN down into the jars! Today we are going to talk about a time when God RAINED down food for the Israelites! 2. Today we are talking about how the Israelites kept whining and complaining. God doesn’t like it when we whine and complain! Do you ever whine and complain? What does it sound like when you whine? Have the kids whine in their whiniest voices! If possible, record their whining. You will use this recording during the lesson. 3. Play a fun game where the kids practice whining and stopping the whine! Play some music. While the music is playing, the kids should whine as loudly as they can. But as soon as the music stops, you should yell “STOP the whining” and the kids should be as quiet as they possibly can (and not move a muscle). See how long they can stay in that position until you start the music again. When you finish, say: Sometimes we whine a lot, don’t we? But guess what? We can all STOP whining if we really wanted to. Just like you stopped whining during this game, we can stop whining in our lives. Be a person who Praises God and DOES NOT WHINE! After you get through all the pictures, say: Wow! You guys really know what food you like and what food you don’t like! Do you ever whine like you just did when your mom or dad gives you something to eat? How do you think that makes your mom and dad feel? Today, we are going to talk about a time when the Israelites whined. A LOT! (play recording of kids whining or have the kids whine). They had just left Egypt where they had been slaves. They were on their way to freedom. God had done some pretty amazing things for them. Yet, they were HUNGRY! And so they whined. (Play recording or have the kids whine). God knew they were hungry, and he was ready to take care of them! Do you know what he did? He made FOOD fall from the sky! This food was special flakes . . . almost like it was snowing! When the food landed, the people were able to eat it. They called this food, “Manna”, which means “What is it?” because they really didn’t know what it was! The Manna had everything the people needed to stay healthy! We don’t really know what it tasted like, but we do know they made little cakes out of it. They had enough every single day they were in the wilderness! Do you know what God did next? He sent them meat! He sent a type of bird called Quail. There were lots and lots and lots of quail. They came into the Israelite camp and died so the Israelites could fix them for food. There was SO MUCH quail that the whole place was covered with them. God doesn’t like it when we whine and complain. He tells us to do EVERYTHING without complaining or arguing! We should be careful not to WHINE and COMPLAIN, too! Do you know what can help us to not whine and complain? Thinking about all the good things God has done for us and saying thank you to Him. Let’s do that now! Take a large piece of paper and spread it out. Have the kids draw or write things they are thankful for on this piece of paper. You might also choose to have them cut out pictures from old magazines to glue on the paper. Encourage them to put as many things as they can on this paper. (If it is a nice day, you might want to take them outside and have them do this with sidewalk chalk). Close in prayer, thanking God for all He has done! 1. Make a quail craft (or other bird craft). Use a toilet paper tube and construction paper. (You might want to trace parts of the bird on construction paper and have patterns cut out ahead of time). Glue the construction paper pieces to the toilet paper tube to make the bird. If they dry on time, let the kids “fly” them around. 2. Have a praise party to chase away the whines! Make instruments (or provide instruments) for the kids. Sing a praise song or play music and have the kids march around with their instruments. Go on a praise parade around the church or outside of the building! Stop every once in awhile to point out something else that you can praise God for (such as the trees, the sun, the birds, etc). As slow as you can! Spinning around when you run! Check out my new book for those who want to make a difference in the world! I hope this will challenge and encourage you to go out and SIMPLY SERVE!